In stock 187 items in stock. 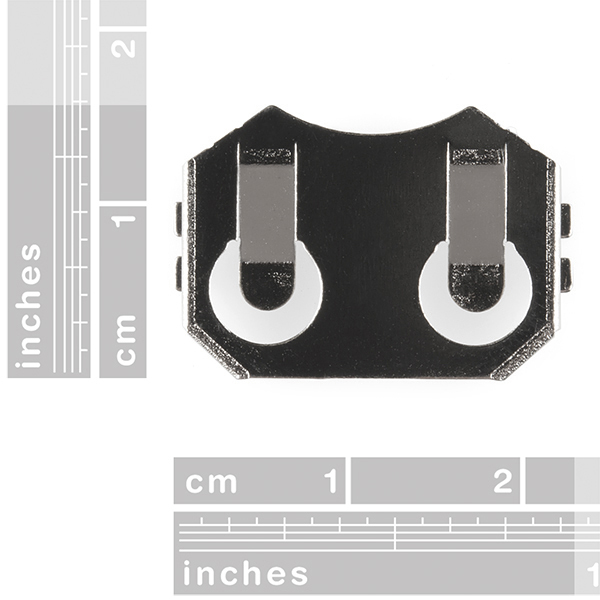 Now for all of your coin cell battery surface mount needs, the 20mm SMD Coin Cell Holder. 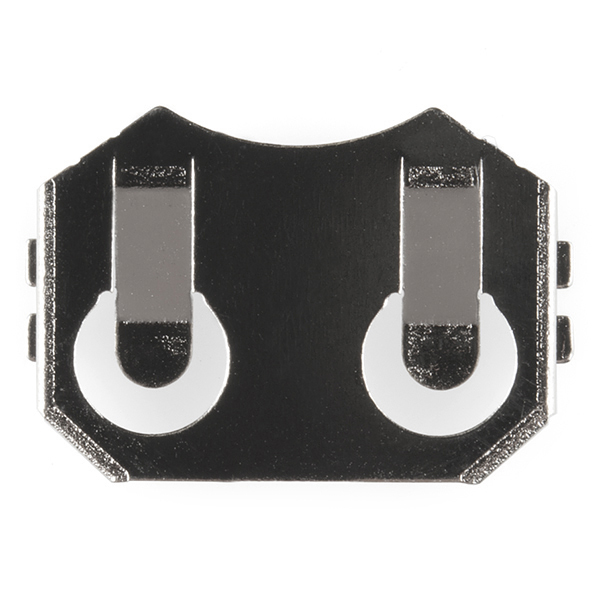 This holder fits our 20mm Lithium Ion coin cell battery and holds the battery in place with friction. 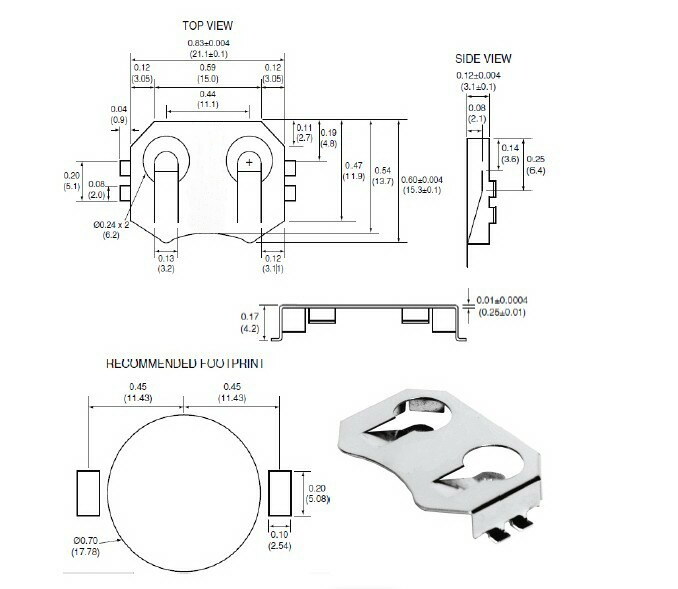 The metal housing connects to the positive (+) side of the battery and the PCB pad underneath is connected to the negative (-) side. Sure wish you stocked a switched version. 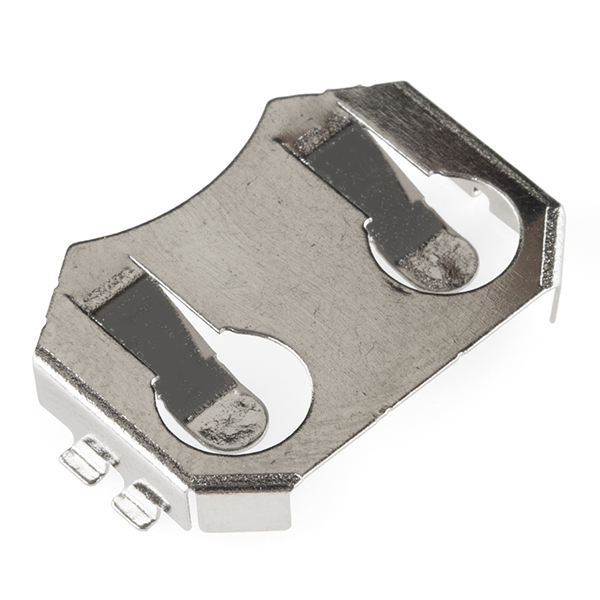 Seems the only coin cell battery holder with a switch on the site are the sewable Lilypad versions.